Come check out our Store and Marina. We welcome you to stop by on your way South to the best fishing and boating spots in Southern Tasmania. We have easy drive in parking even with a large boat in tow. 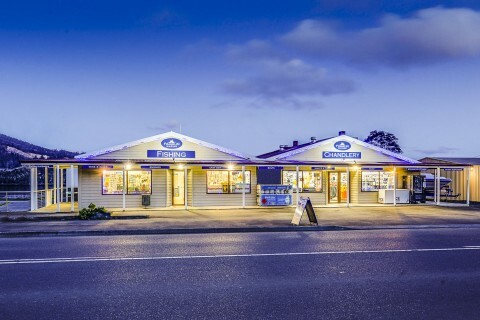 By road – We are just 35 minutes south of Hobart on the Huon Highway, in the centre of the heritage town of Franklin. By water- We are 6 nautical miles upstream from Port Huon. ‘The Channel’ is easily navigable with up to 3 metres draft on a high tide.